Tata group Chairman N Chandrasekaran on Friday said the conglomerate plans to invest in lithium ion battery manufacturing in Gujarat. Speaking here at the Vibrant Gujarat Global Summit, he said group firm Tata Chemicals is also looking to enhance its soda ash capacity to one million tonnes annually. “Many of our group companies like Tata Chemicals and Tata Motors have very significant presence here. We look forward to continuing our investment in the state,” Chandrasekaran said. Tata Motors’ plant at Sanand rolls out Tigor electric car besides manufacturing other models such as hatchback Tiago, compact sedan Tigor and Nano. “We want to make further investments, not only in manufacturing electric vehicles, but also in lithium ion battery projects here,” Chandrasekaran added. He further said, “We are in discussions with the state government for significantly increasing our capacity of Tata Chemicals to reach one million (10 lakh) tonnes of soda ash.” At present, the company’s plant at Mithapur in Gujarat has a soda ash capacity of 8.2 lakh tonnes per annum. Stating that Gujarat is a very important state for the Tatas, he said the group’s revenue from the state last year was about Rs 18,000 crore. 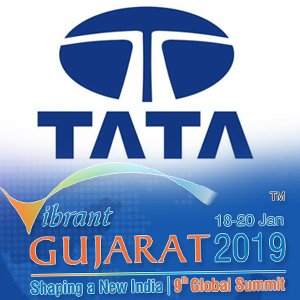 “The Tata group has significant presence in Gujarat. It is the third largest state for the group and we have about 25,000 employees,” he added. Chandrasekaran also said the over $ 100 billion salt-to-software conglomerate will also be “investing in renewable energy apart from growing our presence in the technology sector”.